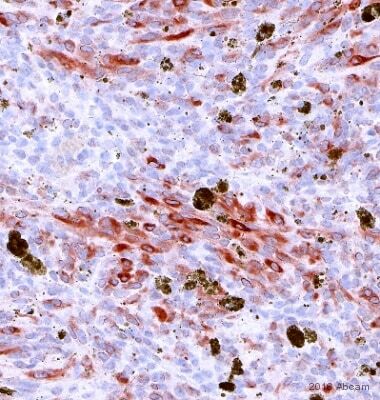 I have a question regarding the Pmel17-specific antibody ab137078. The Western blot photo that you show on the Abcam website suggests that this antibody recognizes an epitope somewhere between amino acids 1 and 468 of the protein and the datasheet specifies that the used immunogen was a "synthetic peptide". However, it does not say which peptide. I need an antibody detecting the N-terminal region of the protein (residues 1-190) in Western blot and I am wondering whether this antibody would be a good candidate for me. Could you please let me know whether the peptide used as an immunogen is part of this region? 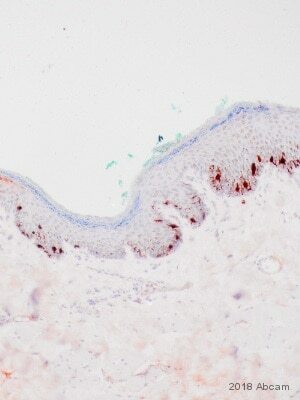 I have a second question on another Pmel17-specific antibody, namely your product ab117853 (clone 7E3). 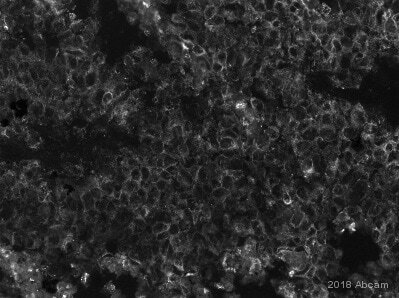 Your datasheet claims this antibody is suitable for Western blot, which I somehow cannot get to work at all. 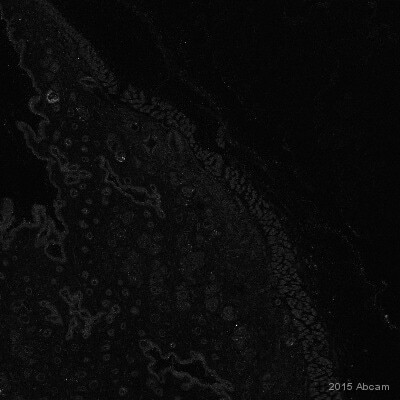 However, this is a really beautiful reagent to detect the N-terminus of the protein by immunofluorescence (completely fails to detect a Delta28-189 variant and detects only newly synthesized protein but no mature fibrils). I was wondering what your Western blotting conditions were and which bands you detect. (I am using a Pmel17-negative human melanoma as negative control and those same cells transfected with Pmel17 as a positive control. I get terrific signal in Western blot with six different antibodies including your reagents SPM142 and ab52058 and nothing at all with ab117853. Regarding your second question about anti-Pmel17 ab117853, clone 7E3, I am waiting for the lab to send a western blot protocol. I expect it will be standard. Can you tell me how much sample you are loading per lane of the gel, how you block the membrane, and how much antibody you incubate with the blot? Regarding ab137078, this is raised against a peptide located within the first 100 amino acids of the N terminus, so it should be capable of detecting your protein.